Too much cream, top much grease, too individual, too kitsch…Like the laughing cow, the days of Yule log are over. In response to this criticism, you will have to wait: all the pâtissiers have hit back. Raising the bar in seriousness or the opposite, pushing the game of style further than before, with a new resolution for 2014: it is all about the flavour, as it should be. And here are our favourites. Rather than play with wintery aromas, Ladurée has opted to offer a bit of sunshine with their Christmas log, incorporating a vanilla baba imbibed with rum, a creamy lime and cumbawa centre with a fine layer of roasted pineapple. And to decorate: chocolate done with golden pineapple! 97 € for 6-8 people, limited edition. 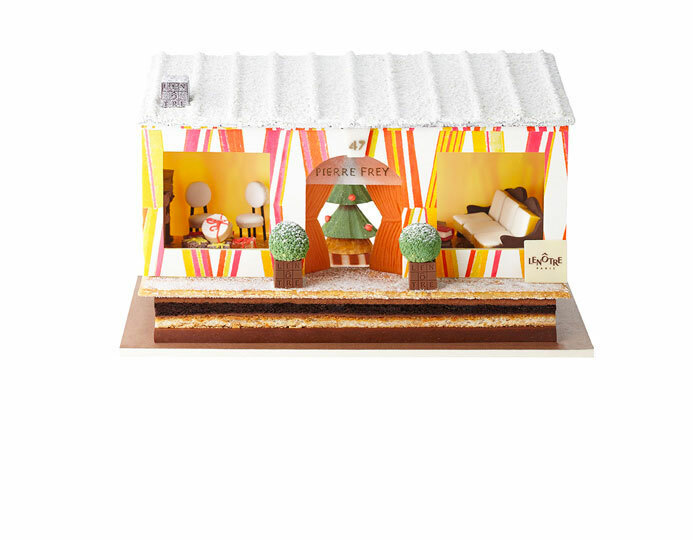 Inspired by a quaint village beneath a blanket of snow, the Nendo Christmas cake represents the return home for several days of family time. And beneath this poetic Christmas scene, there are two different versions: one perfecting the standout flavours of the ice-cream maker – macadamia, Nut Brittle and Dulce del Lecce – the other introducing a new limited edition flavour: Vanilla and Florentine. The studio: Nendo is in fact a group of Japanese designers, managed by leader Oki Sato. Known for their sense of refinement and balance, they exhibit in the Carpenters gallery at the Pompidou and have designed a furniture range for BoConcept…even injecting their poetic style into pastry making with this funny, crunchy village. Pastry chef François Perret celebrates childhood and all the imagination of this family holiday with this hunt for Father Christmas hidden beneath the Christmas trees, a thin layer of cocoa butter, flourless biscuit, white chocolate cream and homemade orange marmalade. 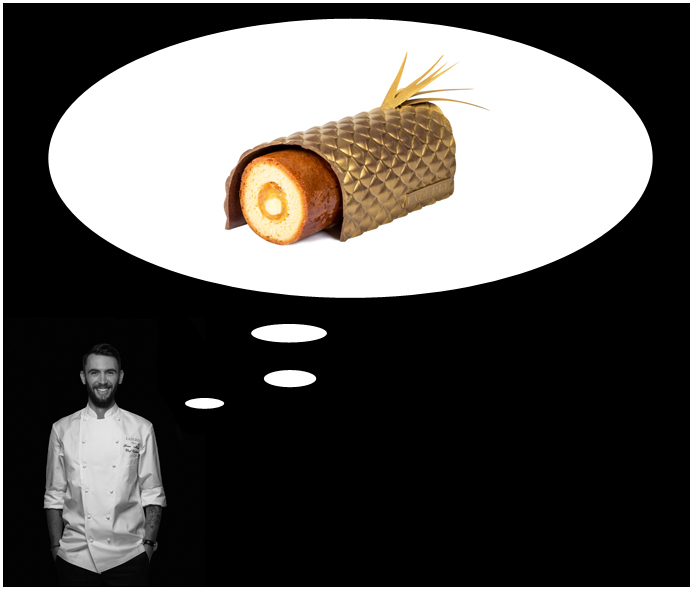 The pâtissier: Cuisine was François Perret’s first love, before pastry-making. 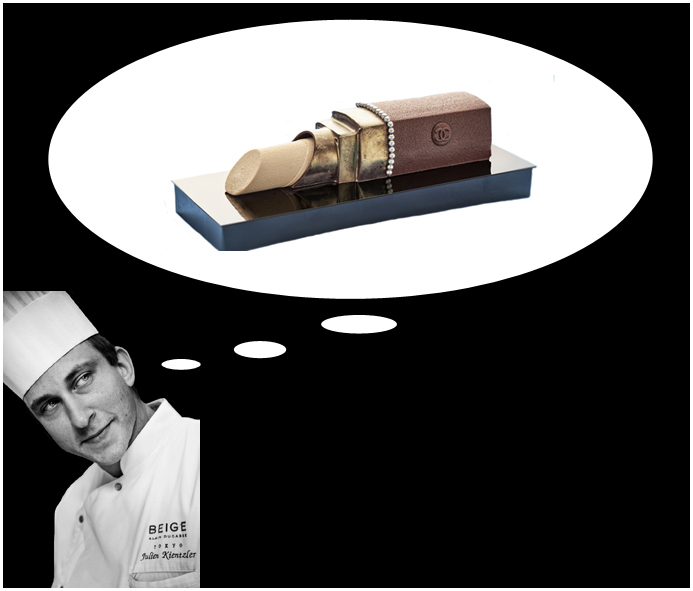 At Meurice of the Georges V, at the Table du Lancaster, Michel Troisgros offered him the title of head-pastry chef. Since, at the Shangri-La Paris, François has increased his exercises of style, originalities that have moved him through the whole of Paris. Make time to stop off for his high-tea, an absolute must in Paris. 108 € for 5 people, please call 24 hours in advance 01 53 67 19 98. An enormous Christmas log, which almost ressembles a fabulous fois gras but which exudes the scents of winter in front of the fire, filled to the brim with nuts: from dacquoise to almonds and hazelnuts, praline and ancient grains, with various chestnuts. The pâtissier – A self-taught chef and chocolatier, Jacques Genin designs like an artisan in his workshop-boutique in the Marais. 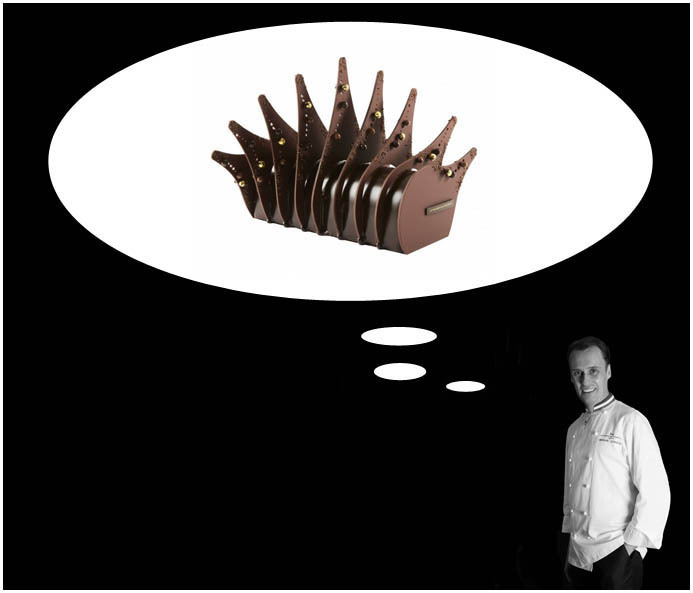 He is best known for his chocolates and of course, his millefeuilles! From 36 € for four people. A Christmas log that mixes Christmas candles with three different baubles, placed upon a blanket of dark chocolate, the inside consisting of dark, milk and white chocolate shells, also blending mango, caramel, passion fruit and vanilla from Tahiti. 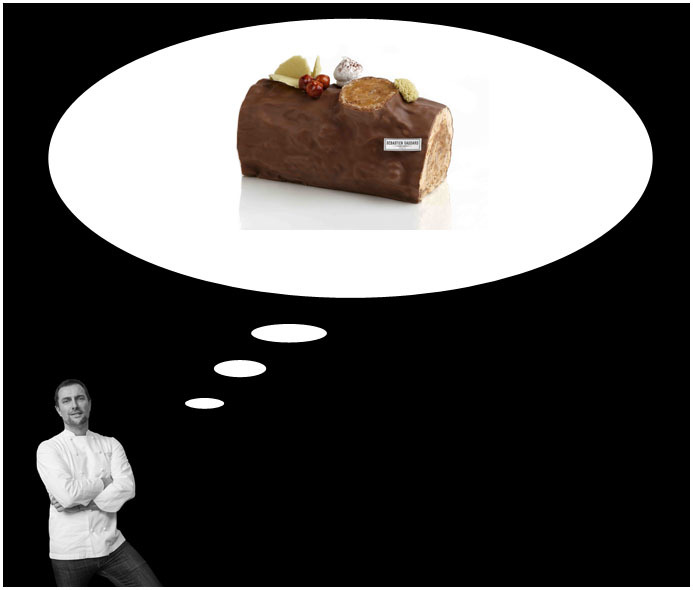 The chef-pâtissier – Patrick Pallier, former collaborator of Christophe Adam, has been in charge of the house’s patisserie department for ten years and knows exactly how to impose his refined-creative style. From 60 € for 4 people. This is a fresh and sculpted log, polished but uncomplicated, with chocolate as its principle feature: strong and powerful. The highlight of this culinary delight is the biscuit layers supported by layers of ganache and pure cocoa mousse. The pâtissière: follower of Pierre Hermé, Claire Damon’s career took off six years ago, by designing her Parisian boulangerie-patisserie like a jewellery box. What does she like to do best? Play with the colours of seasonal fruits to create collections in different shades, with a very feminine edge. From 35€ for 4 people. A pâtissière Christmas log that keeps with the traditions of the Maison Rémond in Nancy, with a rolled biscuit of hazelnut macaroons, praline cream and crushed hazelnuts, covered in chocolate. 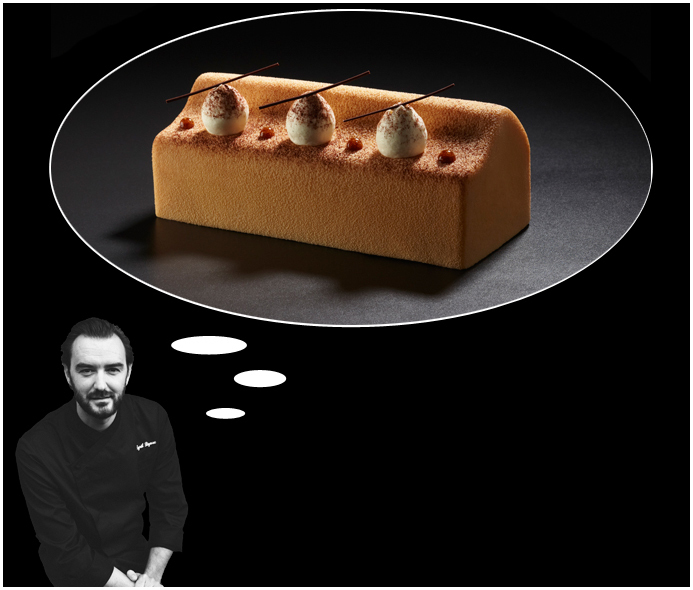 The pâtissier: pastry-chef at the Hôtel Matignon aged 22, the son of pâtissier Sébastien Gaudard has always loves the grand classics of patisserie, which he reinterprets today at home and establishes as his signature. His philosophy: mix the past with the sparkle of the present. From 27, 60 € for 4 people. www.sebastiengaudard.com, and in his brand new patisserie-tea salon in the Tuileries, open at 1 rue des Pyramides, Paris 1er. 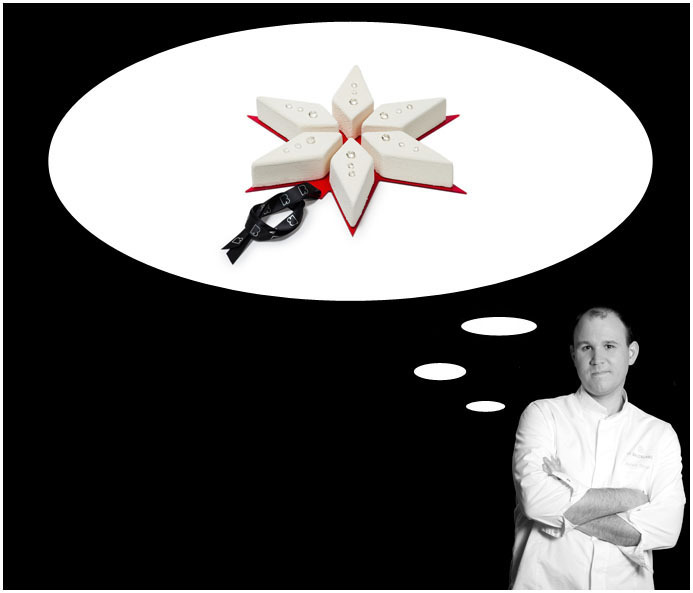 Pastry chef Stéphane Tranchet reinvents the Christmas star, embellishing the top of the tree with shortbread, roasted crunch and bavarian pear cream. A dried fruit marmalade is reminscent of the 13 provincial Christmas flavours and the diamonds are actually made of icing sugar. The pâtissier: Stéphane Trachet who, having proceeded Christophe Michalak at the Plaza Athénée, now lets his creativity go wild. The Baudelaire Restaurant has become synonymous with deserts and tea time. Made to order, 90€ for 6 people. 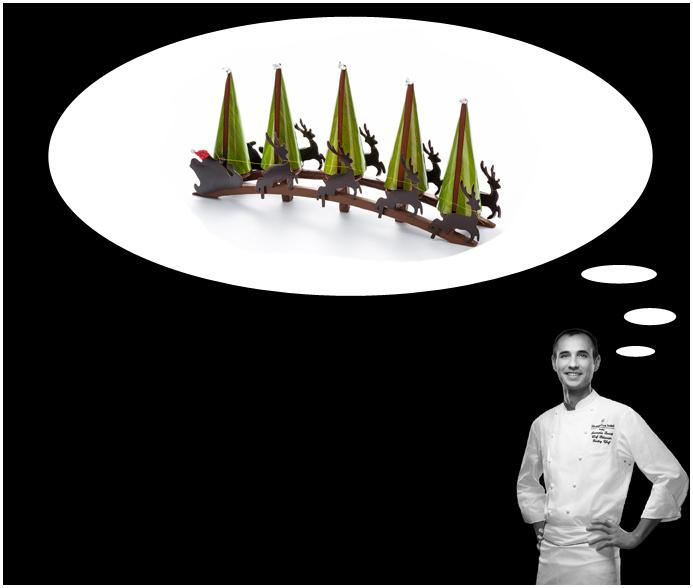 Forever full of unique ideas, the Park Hyatt Paris Vendôme’s former pastry chef has created an addictive Christmas log, which become the saviour of luxury hotels: filled with coco biscuit, poppy cream and a Paris mushroom brunoise, topped with lime icing. The pâtissier: Former chef-pâtissier at the Hyatt Paris Vendôme, this globe-trotter has ended up residing in Normady aged 40. Fully in favour of seasonal pastry-making, picking fruit…in his own orchard. For its debut Christmas log, the hotel pays tribute to the giant trunk that sits at the foot of its staircase, especially created by designer Pierre-Yves Rochon. This mini version consists of chocolate ganache and joconde biscuit. Even the ironwork is made out of chocolate! 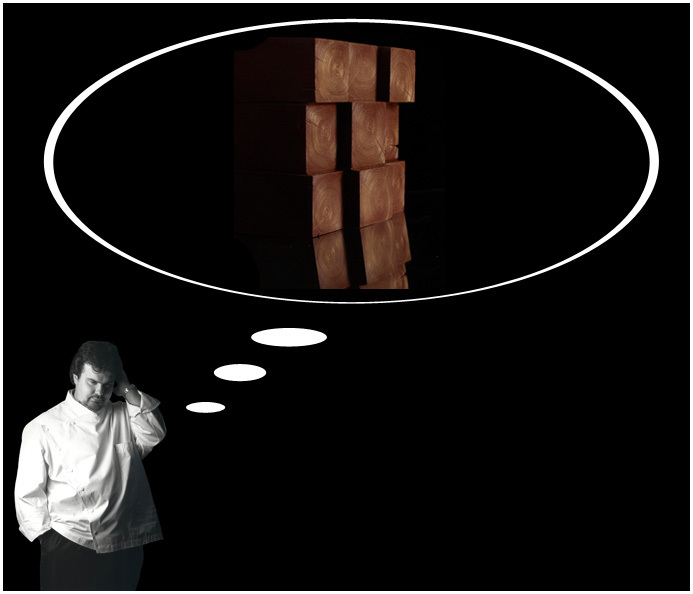 The chef: Jean-Yves Bournot, assisted by pâtissière Ting Turba, who creates extremely visual cuisine and pastries. His motto: “daring of course, but first of all respecting what the season has to offer us”. With an authentic taste and ingenius design, may we present the main feature of this completely rotund log: biscuit melted with almonds, caramel cream, a light Kenyan coffee mouse and mascarpone. Soft and velvety, on might say. The pâtissier: he is everywhere, and has democratised the kitchen by rendering this cuisine the latest French passion. 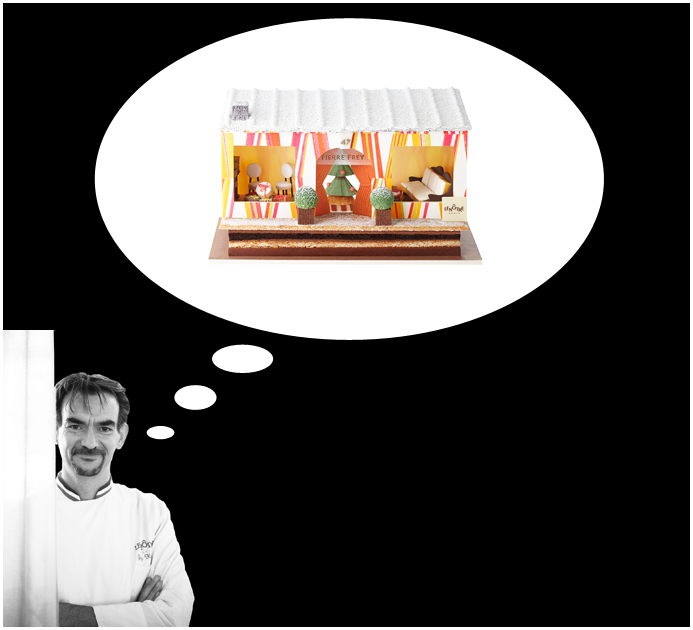 In his Parisian patisseries, he loves to oscillate between creating classics and more personal designs. The proof is in his well-established past and his willingness to be daring. With an extra-large Christmas (tree) log, the table is set. Several layers in the middle are filled with treats…the chocolatier surprises everyone with the ‘exploding’ shells: beneath the dark chocolate spheres hides a mulled wine ganache and candied orange shells and ginger. 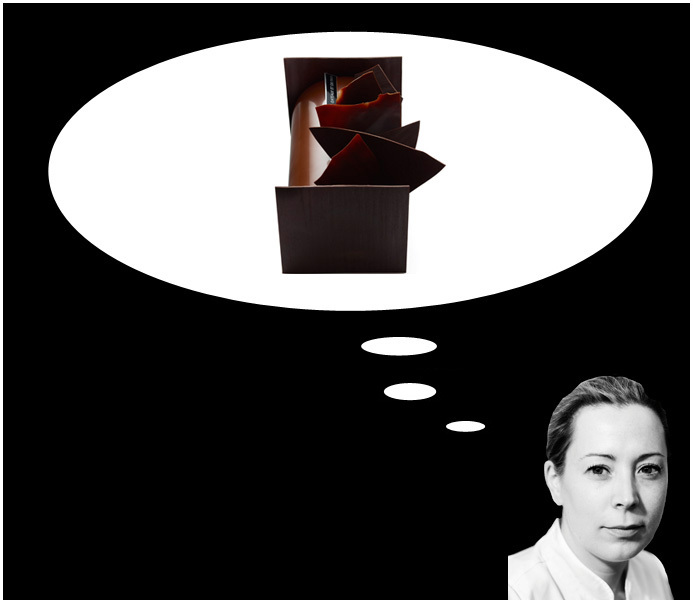 The pâtissier: one of the most renowned French chocolatiers, who roams the world in search of the best cocoa beans. His signature? 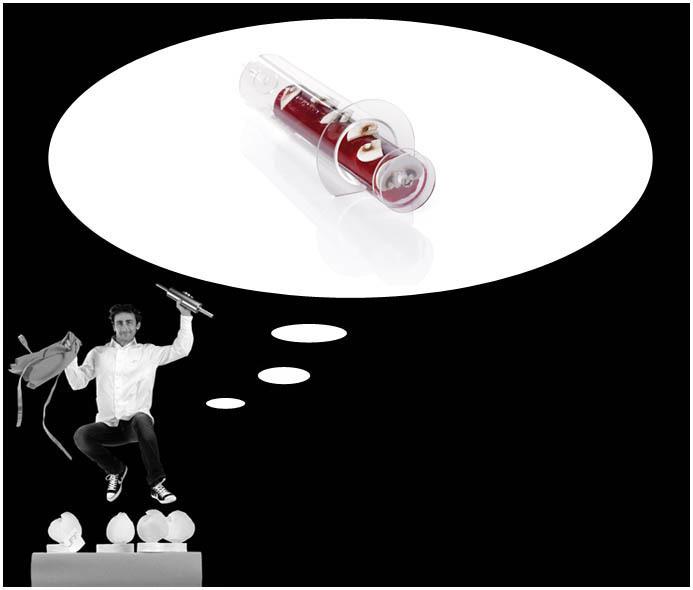 Unexpected and audacious creations, especially during the festive season! 86 € for 8 people. Architectural and previous as a string of pearls, the 2014 creation marries pure dark Venezuelan chocolate with chocolate syrup, a hazelnut praline fondant, a bergamot cream with lemon zest and a fine hazelnut dacquoise. 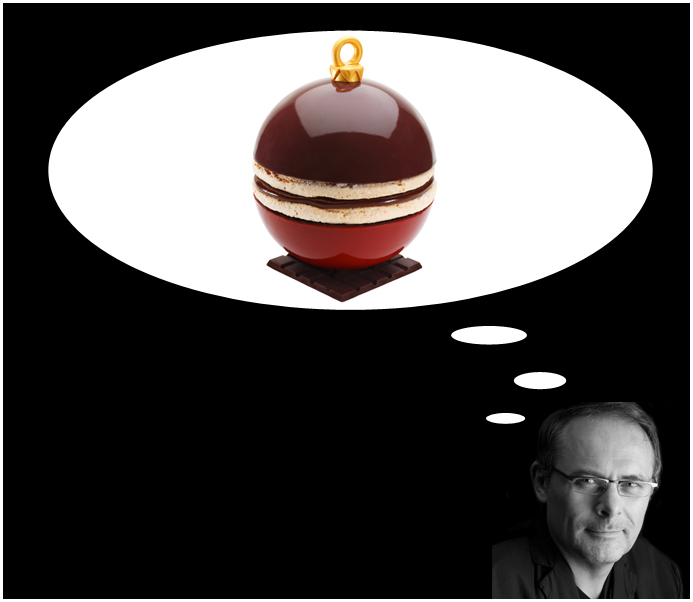 The chef-chocolatier: Nicolas Cloiseau, MOF since 2007, who every year enjoys dreaming up Christmas creations that are always more spectacular and architectural than the last. From 21st to 24th December only in Paris, 95 € for 6/8 people. Half sculpture, half cake, this cluster of square logs is a culinary masterpiece consisting of biscuit melted with almonds, praline rolled with dark chocolate, fine layers of dark chocolate, ganache and Chantilly cream made of pure original chocolate from Brazilian Plantation Paineiras. The pâtissier: before making his name as a master of macaroons, Pierre Hermé is first and foremost the descendent of 4 generations of Alsacian pâtissiers. At a young age, he started out at Lenôtre, before moving onto Fauchon and Ladurée and to the international success he knows today. Limited series of 55, starting at 140 € for 12 people. 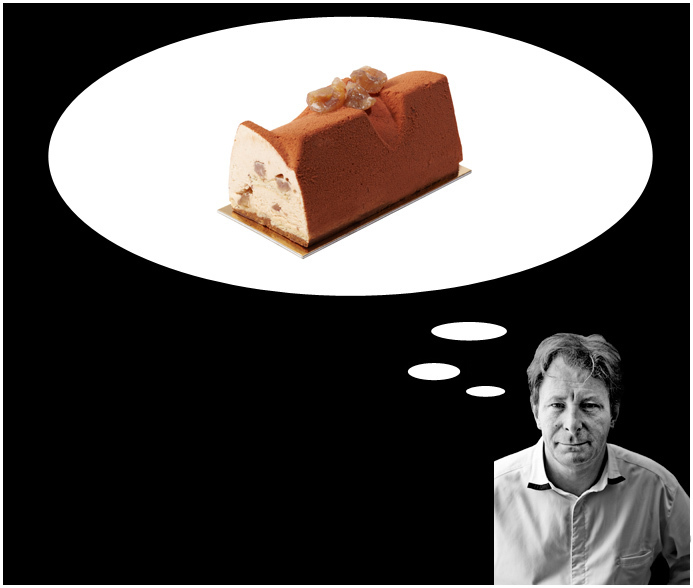 A designer log devised by two houses of the Comité Colbert family, and which takes on the appearance of a dolls’ salon, with several treats: walls made of white chocolate, a dark chocolate chimney, calisson cushions and carpets made of almond paste…on a crunchy praline base comprising of cream, milk chocolate mousse and passion fruit. 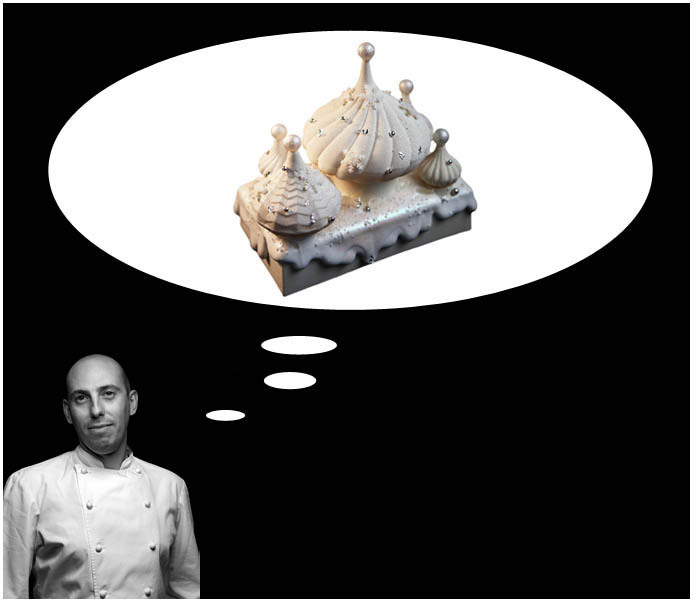 The pâtissier – Guy Krenzer, double MOF winner and creative director of this prestigious house for the last ten years, enjoys converting the drawings of Pierre Frey into culinary exploits. A miniaturisation of all the skills of the Lenôtre house. For 8/10 people, limited edition from 13th to 24th December, 130 €. Simple in appearance, shiny as lipstick, this range by pastry chef Christophe Appert is in fact a tarty desert. On a crunchy base of almonds, the log is garnished with a Madagascan vanilla mousse and a compote of raspberry and honey. 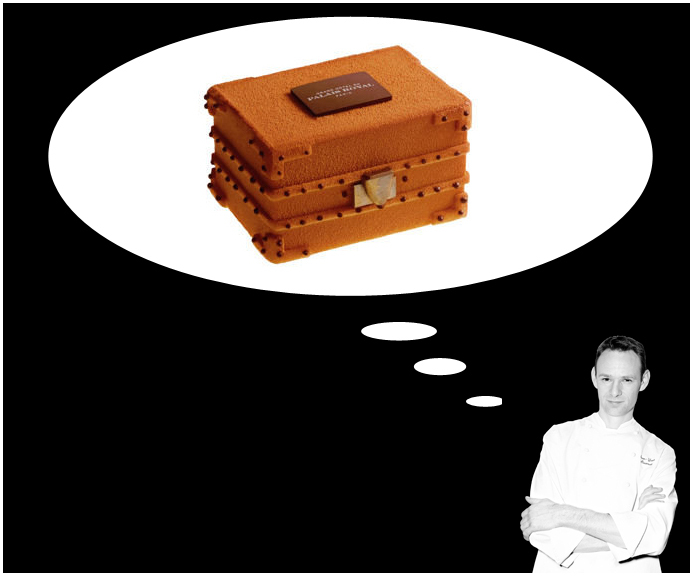 The chef-pâtissier: having worked with Pierre Hermé at Fauchon, then at Fairmont de Monaco, Christophe Appert has ingrained his Mont-Blanc ranges (the signature of the house) into the Angelina house for two years. His essentials? Fruit and chocolate! From 42 € for 4/6 people. Pastry chef Damien Piscioneri reinterprates the Place Rouge with immaculate precision, with suprises beneath the white chocolate coat, such as chocolate mousse, a melted caramel centre and chocolate biscuit emphasized by salt and vanilla, lightly salted with Gianduja hazelnut coffee. The chef-pâtissier: from London to Moscow, Vegas to Paris, this globe-trotting pastry-maker has had experience in some of the best ‘houses’. Today, Andrey Dellos has given himself a free reign to allow his creativity to overflow, mixing French traditions with Russian products. 96 € for 8 people. 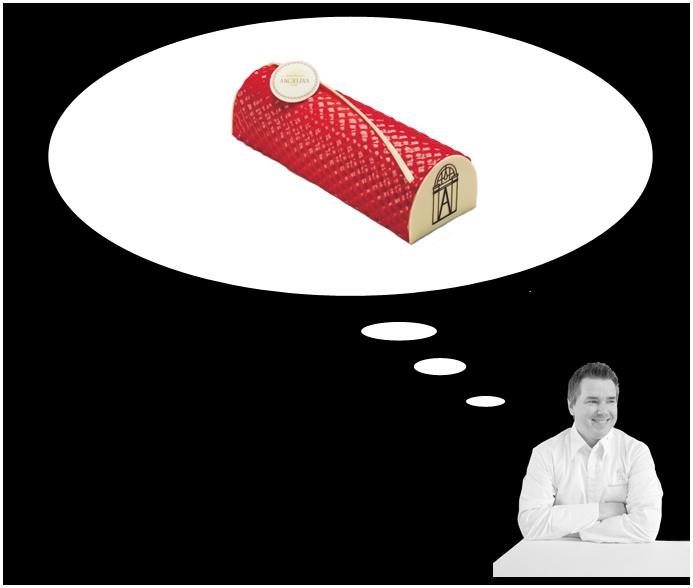 To celebrate the tenth anniversary of the Alain Ducasse Beige restaurant in Tokyo, Karl Lagerfeld has dreamed up a thick Christmas log like a fantastical tube of red lipstick. Beneath the chocolate, behold the caramel smoothness…an exercise in style that makes the Japanese go wild. The pâtissier: having worked at Dalloyau, Michel Rostang, Meurice and the Grande Epicerie de Paris, this Alsacian chef has finally joined the world of Alain Ducasse in Tokyo. His motto: simplicity and elegance…and add a hint of fantasy for the occasion. Exclusively sold at Beige in Tokyo, a limited edition of 100 pieces. 101 €. This is for those die-hards, those Chocolate log lovers…This Saint-Honoré has been created like a tart, with a caramelised pastry, pineapple cream, roasted pineapple and passion fruit, choux buns garnished lightly with pineapple cream and a lime Chantilly cream. 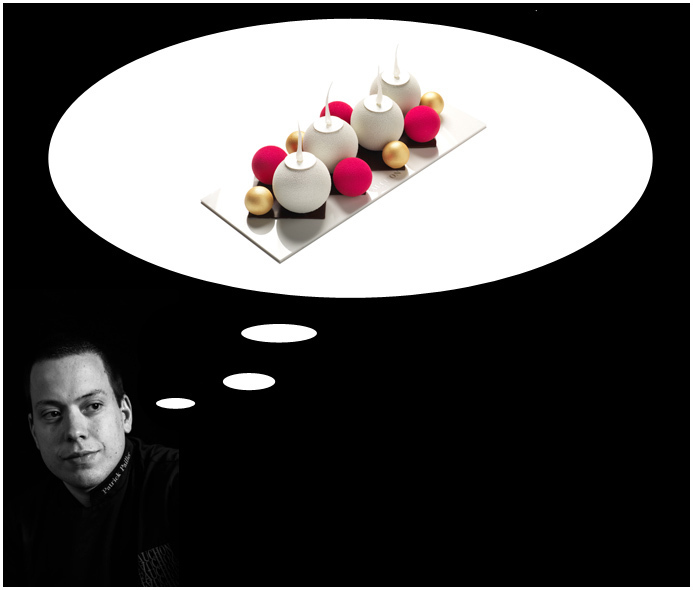 The pâtissier: Champion of desserts in France in 2003, Hugues perfected his game at Guy Savoy, before deciding to launch his own brand. Originally from the South of France, he loves to work with seasonal fruits, notably on his signature dessert: the Saint-Honoré. Starting at 35 € for 4 people.